Lauralee Bell is trading Christine Williams' legal briefcase in for a stethoscope! The actress is taking on the role of Dr. Carol Allen in the film Nightmare Tenant, set to debut on Friday, March 22 on Lifetime Movie Networks. The good doctor is facing an empty nest after her daughter goes off to college, so she decides to invite an outpatient into her home and, well, the title says it all! The movie, focusing on the friendship between the country icons, will star 'Smash' actress Megan Hilty and Broadway star Jessie Mueller. TV Insider talked to Bell about her new role, wearing an executive producer cap for the movie, her recent "take no prisoners" performance on The Young and the Restless as Christine prosecuted three women for the "death" of J.T. 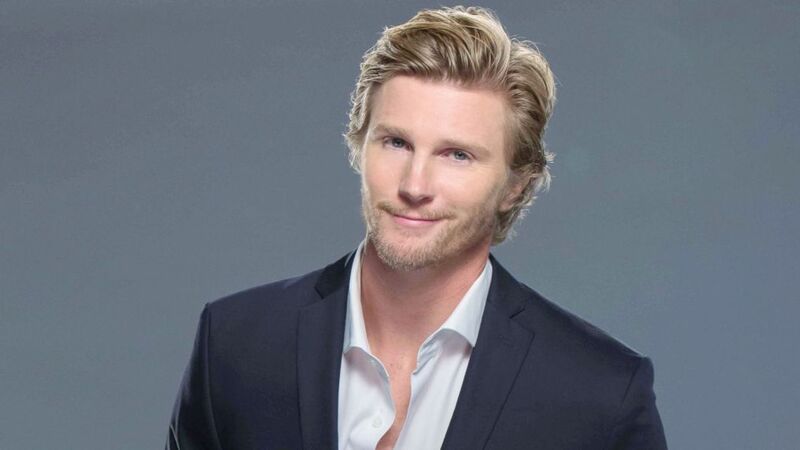 Hellstrom (Thad Luckinbill), what her dad, late soap legend William J. Bell, thought of focus groups, and a real-life family reunion. Read on to get the scoop! Can you set up Nightmare Tenant? Lauralee Bell: Yes. I play a doctor whose daughter leaves home. She tells me I should consider filling up a room in the house with a student or somebody. Next, my character sees this young girl who only wants to see a woman doctor. She needs a place to live and my character says why not? At first, everything’s great, but slowly every aspect of Carol’s life is jeopardized. Things start to go haywire. How much medical jargon did you have to learn? It was limited, however, one day they were like ‘just adlib for a minute while you’re examining a patient.’ Medical terms don’t come naturally to me, but I think we pulled it off. I had a stethoscope with me all the time. And I realized you have to have white teeth to be a doctor because you’re wearing a white coat a lot of the time! You have an executive producer title this time. Congratulations! When you see your name as No. 1 on the call sheet, you feel a responsibility. If I feel that something’s off even a little bit, I’ll beg to do it again. There hasn’t been one fake moment in this. I don’t want anyone to catch anything. I fight for her being completely authentic. Jon Briddell plays my boyfriend. Also, Heather Hopkins plays my daughter, Lacy; Virginia Tucker plays Nikki, the girl I take into my home; and Karlisha Hurley plays Ginger, my daughter’s best friend. The recent trial on Y&R in which Christine prosecuted Nikki (Melody Thomas Scott), Victoria (Amelia Heinle), and Sharon (Sharon Case) for the "murder" of J.T. was a bit of a throwback to the ones the show used to have. I thought it was well-written and just long enough. If you’re on the stand, you know you’re going to have a long day. I’m not throwing a pity party for myself but [when you play an attorney] you start all over again the next day. It’s a lot of stress. It is also the greatest adrenalin rush. It’s wild. For some reason, I felt more anxious when it was airing. I’m hypercritical. Some days, we didn’t have time for a second take. One day, Gina [Tognoni, Phyllis] and I had this 10-page scene. We never have ten pages scenes anymore. It built well and she was great. It was fun even though it can be terrifying. From 'The Jessica Savitch Story' to 'Dance Moms' to 'Surviving R. Kelly,' Lifetime keeps churning out successes. Christine has had her share of attackers and she’s always championed the underdog. Was it difficult prosecuting the women over abusive J.T.? I will say that this trial was super hard for me because there weren’t scenes outside the courtroom showing Christine at home with Paul [Doug Davidson] where she could say, ‘Today was difficult in court. I had to do this because the Newmans did the wrong thing. They should have called the police.’ I tried to play it believing what the women went through was horrible, but they should have called for help after [Nikki struck J.T.]. When they came out to hear the verdict dressed to the nines, I thought this is great! I am super-proud of the fact that my character is this strong woman who’s moved up in her career. In the future, I’d love to bring back her fun. Michael (Christian LeBlanc) said many times during the trial that there is no body. We’ve learned there’s a reason for that. Will that come back to haunt Christine professionally? Well, she’s a little annoyed with Rey [Jordi Vilasuso]. It was his push to move forward on all of this. She was initially skeptical. He knew how to get her revved up. Was it a bitter pill that Phyllis got off scot-free? Yes and no. The evil stares [between the two] and Christine being horrified at Phyllis’ actions is enough. I know that Christine wouldn’t have been happy to think about Phyllis being behind bars, but she wouldn’t cry about it either. It must be great to have Doug Davidson back. Feedback from fans used to come in the form of snail mail and letters pages in magazines. Now, social media enables everyone to comment on everything and those comments are commented on. What’s that like? Unless they’re on my Instagram or other social media sites, I don’t look at them. I’m raising two teenagers! Often, I actually agree with posters and want to write, ‘I know!’ Sometimes, I do. I’m not at all my character. When Christine comes into the courtroom and is all (humming the Darth Vader theme) ‘dum dum dum dum-da-dum dum-da-dum,’ it’s hard for me! I get it. I don’t like it when people are outright cruel to people [online]. My parents taught me when I was really young not to pay attention to negativity. The best kept secret in soaps is out! The actor on why he returned to to 'Y&R,' his first Daytime Emmy pre-nomination, and more. My father [the late William J. Bell, who created Y&R] would get reports from focus group. He’d appreciated what they’d say, but if he didn’t agree he wouldn’t care. It was wasted money. He knew what he was going to do. I’d argue with him after I’d watch Lily (Martha Byrne) and Dusty (Brian Bloom) on As the World Turns in bed. He’d say to me he wanted Cricket to say, ‘Let’s practice abstinence!’ But I get it now. It’s a really great thing for someone who’s running a show to send a positive message. When I was a teen, I was like, ‘This is not the right direction!’ But he knew best. I don’t get mad at people for having an opinion. What I get frustrated with is sometimes that they don’t know I am thinking exactly what they are. This isn’t an insult to the show. It’s about where my character is. Right now, I think Y&R is in a great place. Josh [Griffith, head writer/co-executive producer] and Tony [Morina, executive producer] get that this show is about human emotions, and the characters that fans know better than they know their own family members. We’re all pushing for this to be the show you love more than ever. There are plenty of cast photos out there featuring soap families, but you recently posted a real-life one of you and your brothers, Bill and Brad [executive producer/head writer, The Bold and the Beautiful], with your mom, Lee Phillip Bell, who co-created both Y&R and B&B, on Instagram. It was one of those moments where we were all together. I’ll go see our mom with Brad or Bill, but’s rare to have us all there at the same time. That’s happened twice, recently, without us planning it. It was nice to be together.